These beats are believed to be amongst the best on the Eden and indeed, are ranked among the best in England. Warwick Hall on the River Eden in Cumbria offers 2 beautiful and productive stretches of water for the dedicated fly fisherman. Warwick Hall’s owner, Mr Nick Mariner landed a 27lb spring salmon Friday 3rd March and Mr Andrew Flitcroft Trout & Salmon magazine caught a 17lb spring salmon Monday 5th March. Carlisle Angling Association angler Derek Jones landed the first spring salmon on the River Eden. 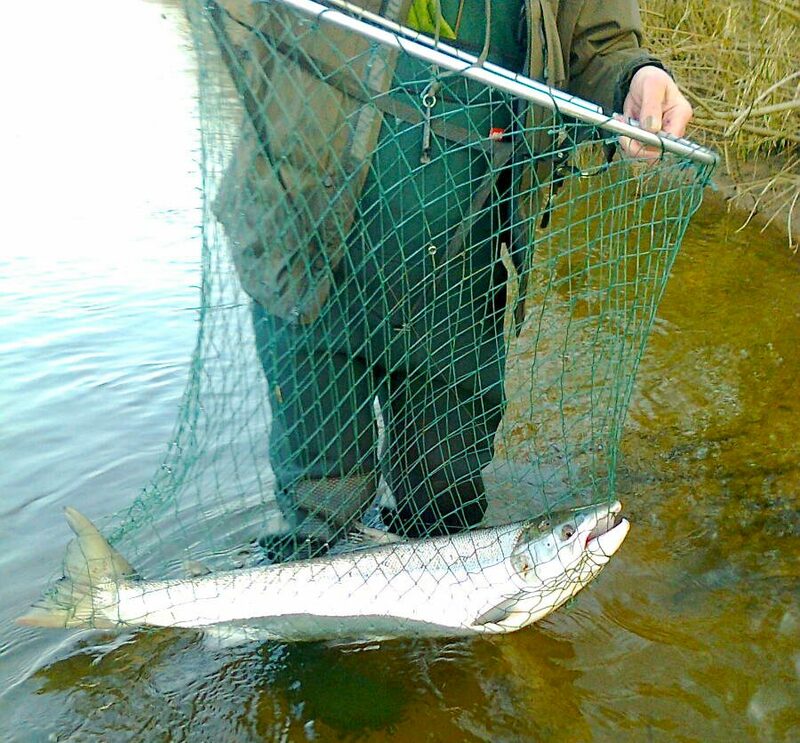 He caught 2 spring salmon of 10 & 15lb respectively around 12 noon on 30th January. 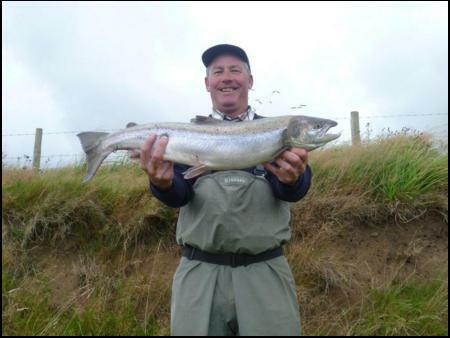 Carlisle Angling Association have always had an underlying philosophy regarding the affordability of salmon angling on waters under their control, and as such still offer extremely cheap salmon fishing on a seasonal basis. Day tickets are now available to purchase on line at FishPal starting at £30 for spring fishing, rising to £50 for Autumn. The Moorhouse Hall fishings consist of two double bank beats (Crosby and Holmegate) in the vicinity of Crosby-on-Eden. The beats provide excellent salmon and trout fishing (including sea trout). Crosby is one of the best known beats on the lower Eden. Day tickets can be purchased online at FishPal starting at £25 for spring fishing, rising to £100 for prime Autumn fishing. Please let’s have no pictures of salmon suspended in large mesh nets damaging their tails or fish held at shoulder height for a picture. These fish are too precious to be treated this way. Fastnet supply small mesh net bags for around £15, I have used these for 3/4 years now and they are excellent and I try to ensure the fish never leaves the water. Save our salmon! Thank you for your comment John – I hope you agree we all have come a long way since this post back in 2012. FishPal are supporters of Save our Salmon and since our inception have supported the Salmon & Trout Conservation with donations and this year donated £16,139 to the Atlantic Salmon Trust. Thank you Anne. Unfortunately fish are still being badly handled in poor nets. I have seen photos of fish caught this year with badly split tails which would be lucky to spawn later. Also this year examples of fish far removed from water to have pictures taken. Keep up the good work. Shame the EA can’t give a better lead in these matters. I emailed them months ago about damage from wide mesh nets and didn’t get a reply! Thank you John – we did include information about nets in our Catch & Release film https://www.youtube.com/watch?v=XqPFyohnMGk We have also contributed to a Catch & Release leaflet – if you email me I will send you some leaflets to give out to fellow anglers etc. Worth contacting the EA again – if it was when the election was announced they were not allowed to do anything.